Republican vice-presidential nominee Indiana Gov. Mike Pence, who will visit Durango on Wednesday, speaks to a crowd in Grantville, Penn., on Oct. 5. The Donald J. Trump campaign announced Monday evening that Indiana Gov. Mike Pence, the vice presidential nominee, will visit Durango on Wednesday. The campaign has handled almost all of the details of the visit, Oliger said. Some local Republican candidates will be on the stage. He’ll be talking about why he thinks voters should elect the Republican presidential and vice presidential nominee, Brown said. Local Democrats will be taking a positive approach to making their presence known, La Plata County Democrats Chairwoman Jean Walter said. Walter hopes her fellow Dems will avoid negativity, she said. Pence’s visit to Durango comes on the heels of two stops in the state Tuesday by Trump, who will visit Colorado Springs and Grand Junction. Republican vice presidential nominee Gov. 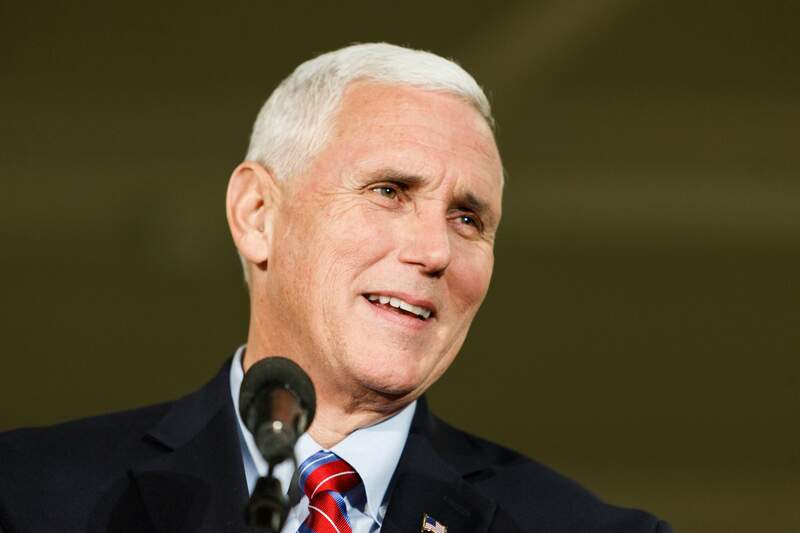 Mike Pence will visit Durango Wednesday, speaking at noon at the La Plata County Fairgrounds, 2500 Main Ave. Doors open at 10 a.m. Visit http://bit.ly/2dwC7yc online for tickets. La Plata County Republicans office is located on the second floor of the Main Mall at 835 Main Ave.
La Plata County Democrats office is on the south side of the building at 1911 Main Ave.